Fleetwood Mac have confirmed that Lindsey Buckingham will not be joining them on their upcoming tour. The band released a statement on Monday saying that Mike Campbell of Tom Petty & The Heartbreakers and Neil Finn of Crowded House will replace Buckingham. Fleetwood Mac was originally founded in 1967 by Peter Green who named the band after two of its band members, Mick Fleetwood and John McVie. 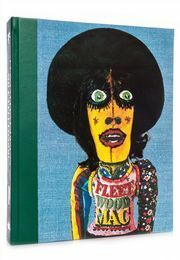 The Genesis edition, Love That Burns - A Chronicle of Fleetwood Mac, Volume One: 1967 - 1974 by Mick Fleetwood, details the early history of the band from their first line-up (pictured above). To find out more about the edition and order your copy, click here.